The award consolidates the position of Sir Grout Central New Jersey as a leading company in the hard surface restoration industry for their exceptional service. The effort we put into our work yields the quality all our clients receive. This award reiterates our commitment to provide superior, professional assistance, and we are proud of all the positive reviews we have received over the years. 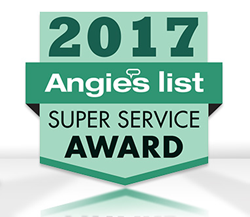 Once again, Sir Grout Central New Jersey has been honored with the prestigious Angie's List Super Service Award. This coveted award commends the excellence of service professionals who have maintained remarkable ratings and reviews on Angie's list throughout the year 2017. The experienced hard surface restoration company has won the SSA for four consecutive years, consolidating their leadership in the industry and rewarding the high quality work they provide to their customers. Only few companies can boast the feat of maintaining impeccable ratings years after years, and Sir Grout Central New Jersey is one of them. There is no doubt they will continue forging their legacy and achieving greater heights in the coming years. "Giving our customers the attention and service they deserve has always been our goal. We approach each job with one objective in mind: provide our clients the best results. The effort we put into our work yields the quality all our clients receive. This award reiterates our commitment to provide superior, professional assistance, and we are proud of all the positive reviews we have received over the years. We will continue to strive only for the most exceptional outcome," the words of Sir Grout Central New Jersey owner Kris MacDermant, are testament of the company's professionalism, passion, and love for their work. For four years in a row, Sir Grout Central New Jersey has earned this distinctive badge, all thanks to the excellent performance they display in each and every job. Their skillful professionals, experienced techniques, and top tier products always deliver solutions to their customer's problems and their clients are always happy and satisfied with their work. They are experts in hard surface restoration and offer a wide range of restoration processes for natural stone and tile. From grout cleaning to stone honing and polishing, they have it covered. To contact the pros at Sir Grout Central New Jersey you can visit http://www.sirgroutcentralnj.com and fill out a "Request a Quote" form to schedule a free evaluation. You can also call them at (732) 551-3737 and explain your problem; you will be able to find a quick solution with their help.